This pull-toy, inspired by Lindbergh's Lockheed Sirius, reflects the popularity of aviation, even among those too young to build models. 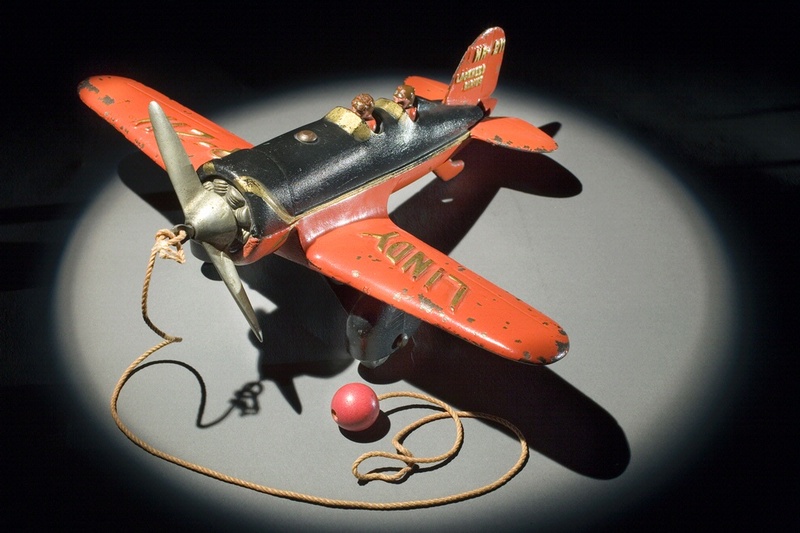 This toy plane represents the public and commercial response to Charles Lindbergh's flights in the Spirit of St. Louis and his Lockheed Sirius Tingmissartoq. Lindbergh's nonstop, solo flight in the Spirit from New York to Paris in 1927 catapulted him into fame and celebrity and made him a household name overnight. His name and likeness were featured on everything from toys to ashtrays to wristwatches. More than 75 years after the Spirit's historic flight, Lindbergh's name still has the power to help sell merchandise.